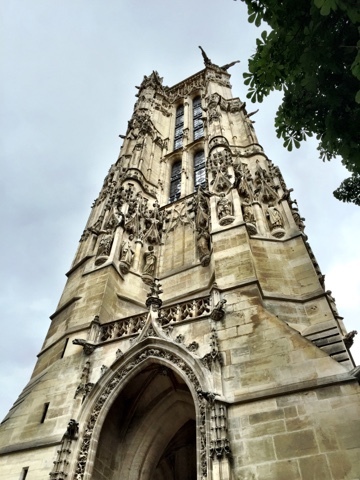 I'm in my fifth year of being in Paris and I can't believe it's only now that I have finally gotten around to visiting the Tour de Saint Jacques. 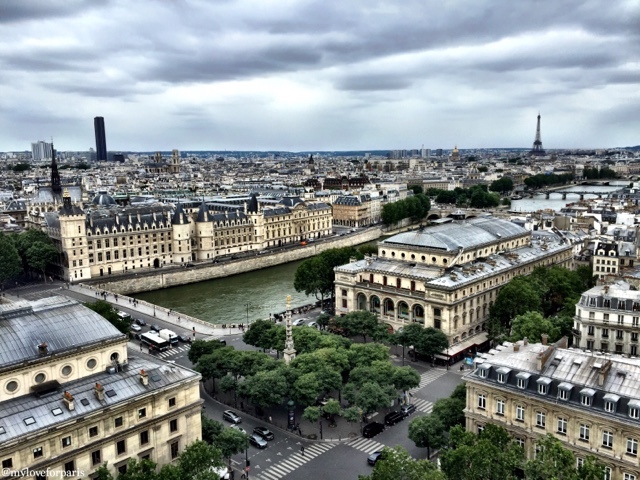 This is a My Love for Paris MUST SEE, a much lesser known attraction admittedly because it has been closed for the majority of its 500 year old history. 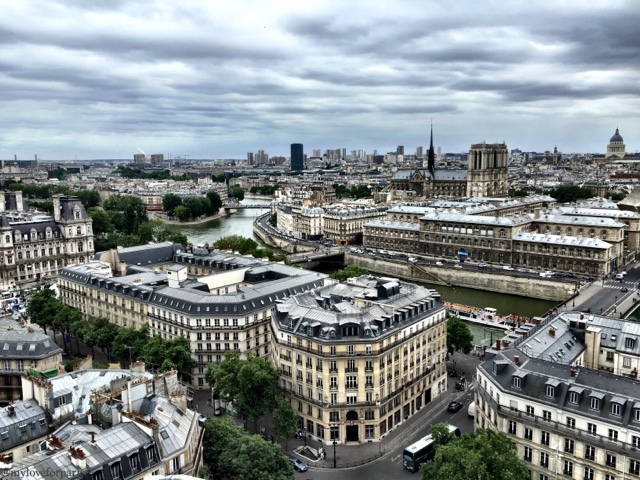 Offering one of the best views of Paris I have ever seen (and I've seen quite a few in my time here), the Tour de Saint Jacques will take your breath away with its 360 degree 54 metre high view of Paris. By the time you climb up the 300 steps, you will be oohing and ahhing at every single monument you can see. 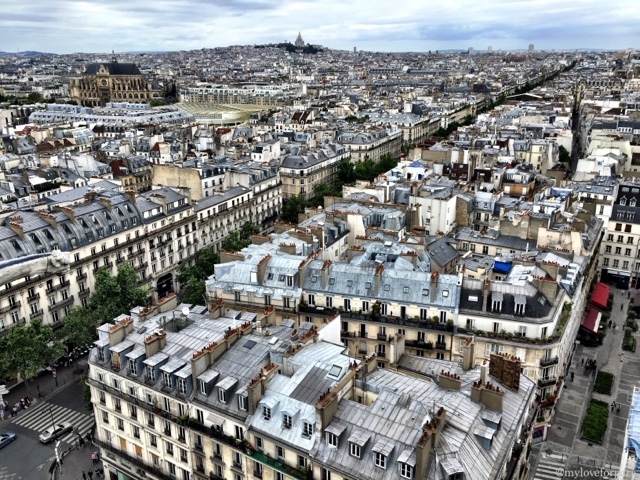 Situated smack bang right in the middle of Paris on rue de Rivoli in the 4th arrondissement, the Tour de Saint Jacques is located in a little park down the road from Hôtel de Ville. Also known as the Saint Jacques Tower, this 62 metre monument and is all that remains of the 16th century Church of Saint Jacques de la Boucherie. Built between 1509 and 1523, the flamboyant Gothic styled tower was spared when the church was destroyed during the French revolution in 1797. From 2000 until its opening to the public in 2013, the Tour de Saint Jacques underwent a 8.3 million euro restoration..! 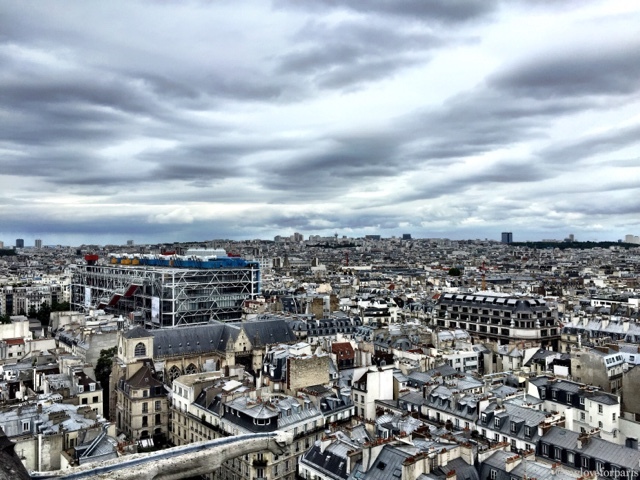 Can you recognise the top of the Pompidou Centre here? And then there's Notre Dame in the distance as well as Ile de St Louis! 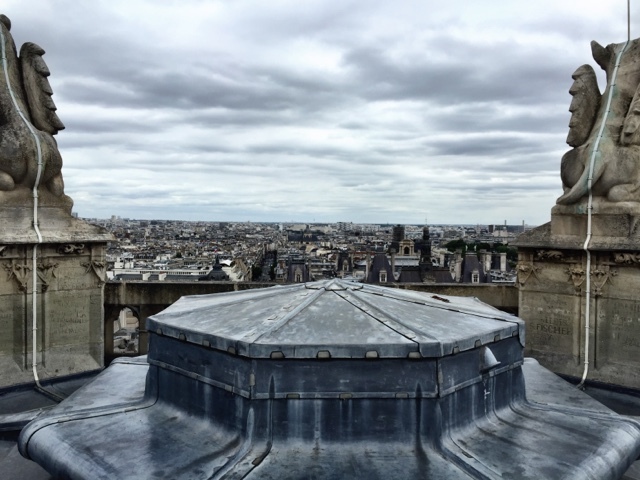 Here we can even see Sacre Coeur in the distance..! The actual viewing 'deck' is quite small which is why you can only access this Tour de Saint Jacques in small guided groups. Tickets are by guided tour only, 10€ for adults and 8€ for students/job seekers and disabled people. The 50 minute guided tours are held every hour between 10am and 5pm but only on Fridays, Saturdays and Sundays between the end of May and September each year. Remember to wear comfortable shoes as you will be walking up 300 steps (approximately 16 floors) in a little staircase that goes round and round (and round and round). It's definitely manageable (you'll get two short breaks don't worry) but be careful if you tend to get claustrophobic/dizzy. Alternatively, as I like to do in these situations, wait for everyone to go first then walk up the stairs at the end of the group. Then there won't be anyone tailgating you pressuring you to walk faster. Bookings can be made online here via Des Mots et Des Arts from 10am every Monday. I highly recommend this little best kept secret of a Parisian attraction, it's 10€ definitely well spent. Considering it's only been open to the public for a few months in 2013, 2014, 2015 and now 2016 ever since it was built over 500 years ago, I feel pretty lucky to be able to be in Paris at the right time to be able to experience this. Can you imagine if I had lived in Paris over the 10 years it was being renovated...? !